Collaborating, Promoting, Discussing and being always relevant is key for the success of our institutions. This is a trait well portrayed by the Universities of Göttigen and Kassel. 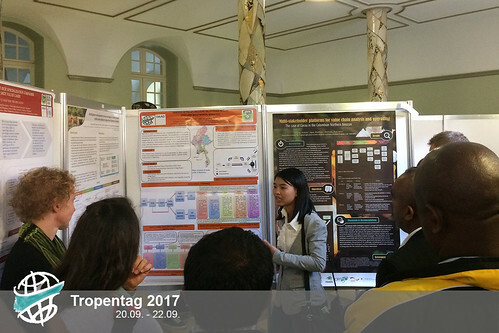 The Tropentag conference this year has been organized by the Universities of Göttigen and Kassel that are currently cooperating in green areas of research. This cooperation between the 2 universities started in 2005 with synergies that extend to shared professorships and a joint Masters’ Programme on Sustainable International Agriculture that focuses on 3 key areas of agriculture: international organic agriculture, tropical agriculture and agribusiness and rural development economies. 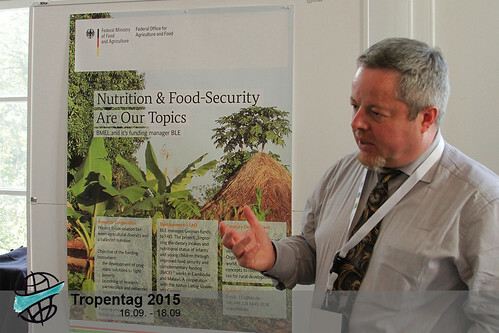 The joint research focuses on agroecological problems and the resilience of food production systems which is the theme of the tropentag this year. Where was your bread last night? Agriculture science for most people has this name of being bad, of being about pollution, about large-scale, about the destruction of the environment. That is not necessary. We need more science and not less. And we need good science. But there is something we must do. It's not enough to say "Let's get more bold science into agriculture." We ourselves must go back, and think about our own food chain. We need to think differently about our science as a whole. Every meal we eat contains ingredients from all across the world. Everything makes us so privileged, that we can eat this food, that we don't struggle every day. And that, evolutionarily-speaking, is unique. We've never had that before. This is why it's time for agricutural scientists to stand for responsible agriculture and food consumption, as they are crucial to world stability. Enjoy the talk of Louise Fresco, a powerful thinker and sustainability advisor, on feeding the whole world. She says environmentally sound mass production will feed the world, yet leaving a role for small scalers and traditional methods. Over a glass of wine and around a table is where bonds are usually established and ideas are born. The Canteen of the University of Zurich hosted the conference dinner of Tropentag 2010. After a full day of intensive discussions on the future of agriculture, food and nutrition, climate change and natural resources participants were able to enjoy a relaxing moment of interacting and networking. Yet another typical “Mensa-Food”: queues of people with trays on hand, three menus of Swiss beef with vegetables, a mushroom curry over couscous and an Asian Wok, all-year-round-salad and 3-CHF-beer marked this Tropentag’s culinary gathering. Food is what links us in Agricultural Sciences. 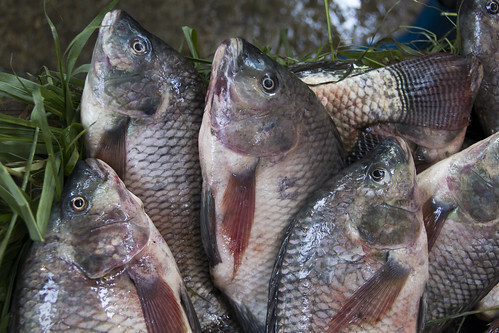 The food we eat, how we eat it and where we source it from has an apparent effect on the ecosystems, the economies and culture somewhere in the world. A future challenge in combating world hunger, promoting food and nutrition security and food justice is to uphold some basic ethical principles of sustainability and implement them into science, education, agriculture, politics, industry, society as well as into our own eating habits. Whether it is in our personal lives or in our university canteens. Or is it something that can be forgotten over a glass of Calvados on the banks of Limmat?